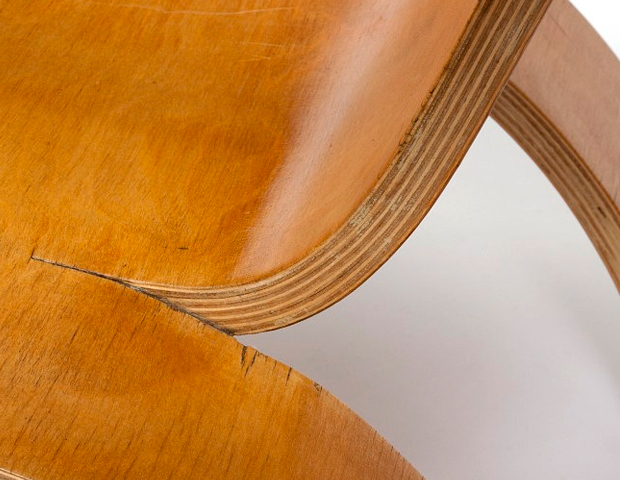 Today I’ve selected Gerald Summers as my subject to talk about, a British designer who owned a short-lived company named “The Makers of Simple Furniture”. 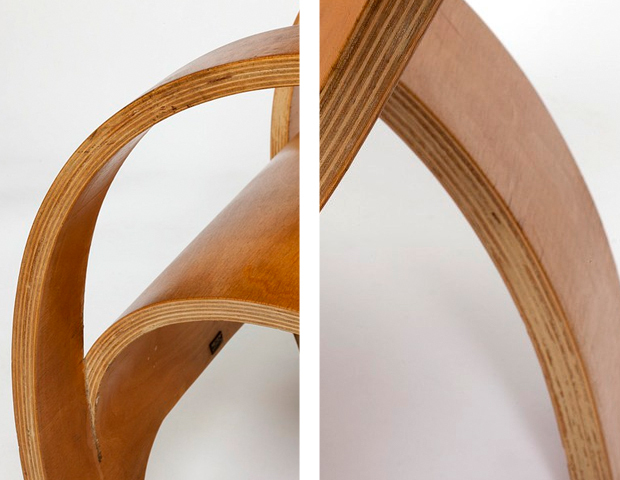 Gerald designed this beautiful chair back in 1934 that was inspired by Alvar Aalto’s bent plywood chairs of the same decade, although these were relatively similar the production process actually required no heat or steam, it relied on thin pliable veneers being glued together and then held in place in a mould for eight hours. 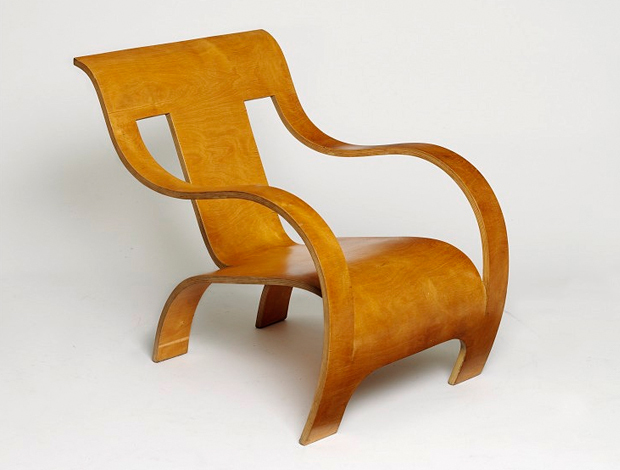 What’s also quite fascinating is that there was no wastage, the whole chair is made from one single piece of bent plywood from which all the component parts – seat, arms, feet – are constructed. This makes it groundbreaking for the time coupled with the fact that it uses moulds to create curved surfaces, something not really explored before. 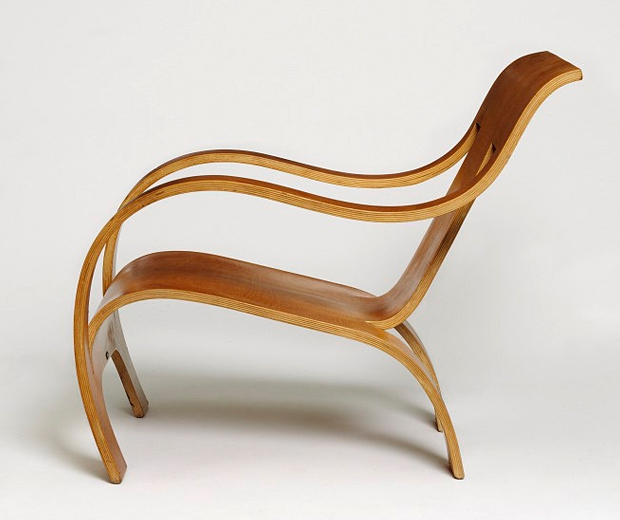 Thanks to this direction the shape of the chair is beautiful in its structure, the strength coming from 17 rectangular veneers, all stacked on top of each other with the grain of each running at right angles to the next. A striking exceptional form. Obviously once I delved a bit deeper into Gerald Summers’ life, which there isn’t much information on anyway, it was intriguing to hear about his company “The Makers of Simple Furniture” which he started with his wife Majorie Amy Butcher in 1932. From the looks of it the workshop in London didn’t last long but through the 30’s they produced innovative designs which mainly focused on plywood and malleable materials. It makes sense why there are only about 120 of these chairs in the world since they only had a small production facility, it obviously took a lot of hard work and dedication to make one of these. They really are a work of art. Overall a fantastic piece of design work, this really shows in my opinion that you can get something unique by just playing around and having fun. This then resulted in some of the most innovative designs of the period. All of this photography is from the V&A collections website which has a stunning array of masterpieces from a variety of artists, make sure you check it out if you’ve got some spare time on your hands.